The parameters used in the research to characterise blackland combined the obvious, the intuitive and the possible. Although needing refinement, they produced an initial, evidence-based description of the blackland system. Examples of the obvious included topographical measurements such as slope, depth and aspect. From an ecological perspective, recording of vegetation was a necessity which became a basic organising principle of the research. Analytical tools from soil chemistry included laboratory analysis of ash, pH and nutrients. Both ash (which is effectively immutable) and pH (which is not) proved to be powerful predictors of soil functionality. However, it might be too easy to rely on these quantifiable and familiar indicators at the expense of other, subtler measurements. The study areas, although poorly used for 50 years and now derelict, were managed and cultivated for hundreds if not thousands of years; this had to be a major factor in analysis. Study of the surface to subsoil realm (0 – 200mm, or spade depth) had to begin intuitively: a field last ploughed in 1956 and now covered with up to 400mm of Spaghnum capillifolium and rushes could not be described by standard diagnostic techniques: the classic sand/clay/loam textural triangle was not helpful as in some cases, no ‘dirt’ could be found at spade-depth. Intuition also suggested that in an area of high rainfall and complex topography, both soil hydrology and landscape would be important. Recent work on meteorology and agriculture in Ireland stresses that “..it is important to note that this (work) evaluates large-scale, regional patterns…and the geographical distributions therefore should not be considered as qualitative delineations of areas with different risks….and do not allow the capacity of different fields or farms to be identified” (Schulte et al., 2006). Soil science has sometimes not been so particular. 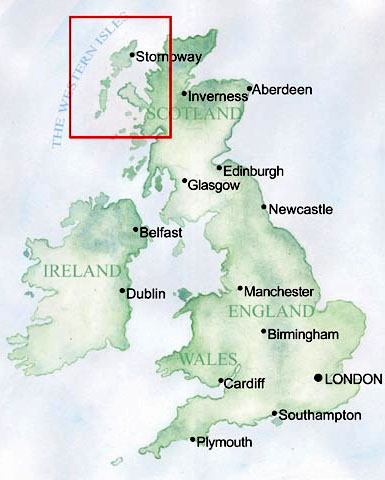 The soils of the study area were mapped by the Soil Survey of Scotland (1984) at a scale of 1:250,000 (samples taken 0.5 – 3 times per square kilometre). More detailed surveying was proposed but not carried out. 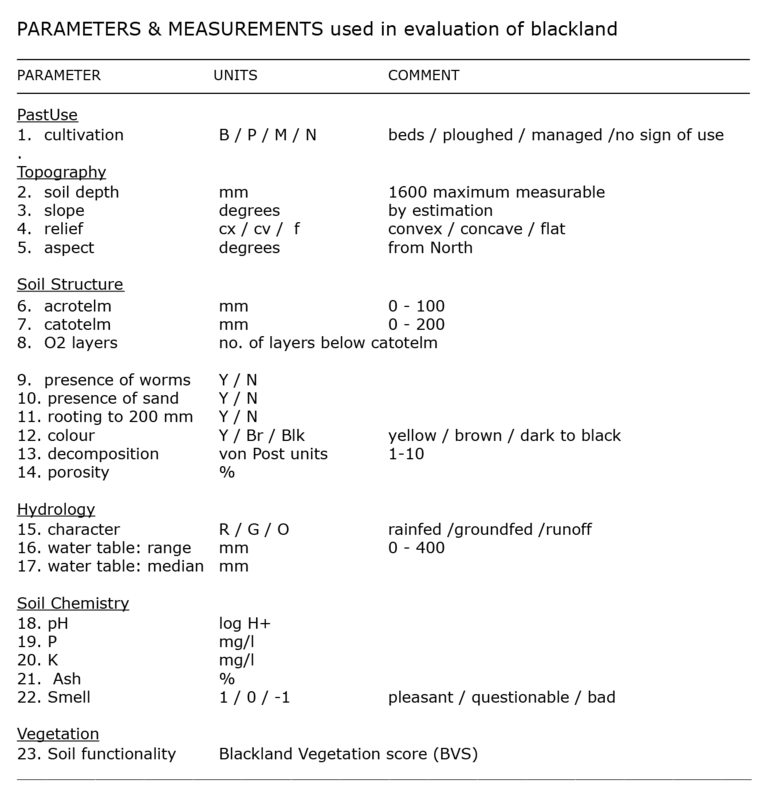 A ‘Land Capability Classification for Agriculture’ was constructed based on this data; it is often inaccurate in blackland areas, damaging to local communities, and leading to neglect of the land itself. 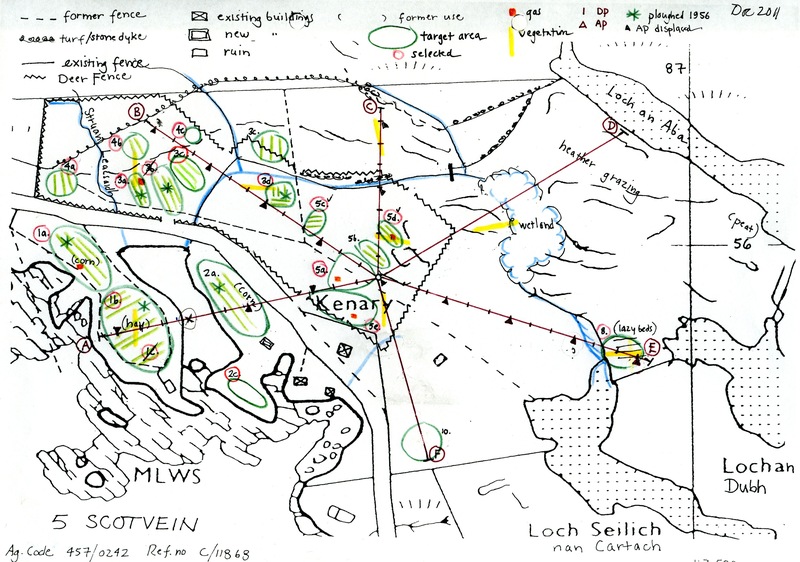 After considerable deliberation and trial-and-error, a dual sampling framework was established on three crofts in North Uist with a total in-bye area of c.45 ha. There were a total of 38 sampling points: 14 determined randomly (transect) plus 14 from selected areas (target) and ten determined through a combined method. Six transects (radiating from the centre hill) were established to provide a general description of the landscape including various types of terrain and past use, areas of unknown use, and transition zones. This radial framework was developed for convenience and suitability for local terrain. A second set of data was generated from’ target areas’ selected on the basis of visible traces or suspicion of agricultural use or cultivation within the past 100 years, as determined by observation, local knowledge or photographic/mapping evidence. – selected target data which describe areas that are known or thought to have been productive in the past.